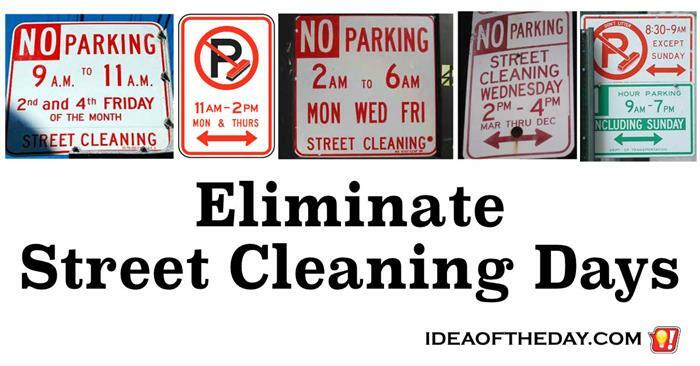 Have you noticed that some of the cleanest cities don't have any No Parking / Street Cleaning rules? I've got news for you. Some of those cities not only manage to have clean streets, but some are actually cleaner than New York's streets. Instead of the city sweeping the streets, the building owners do it. I'm sure by now, some New Yorkers have passed out. I'll give you a moment to regain your composure and let this sink in. Relax. It's not the end of the world.